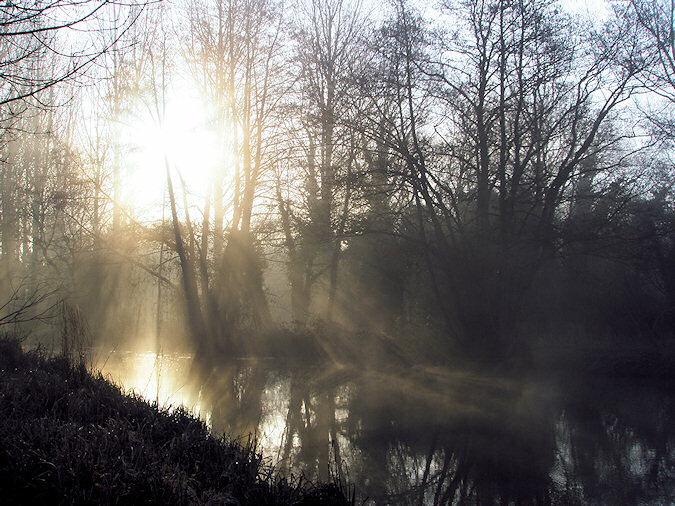 Ministry of Propaganda - 21/Mar/2009: "Misty Morning at the Kennet & Avon Canal"
The sun shining through the trees lights up the mist, showing the mist above the water. 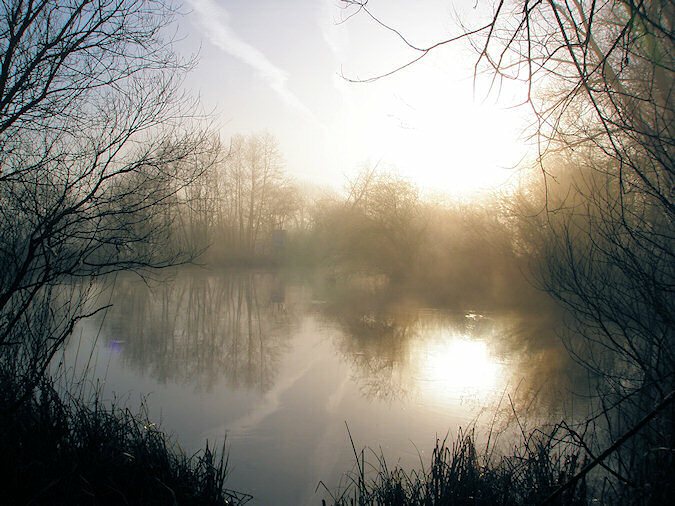 Looking along a bend in the canal you can nicely see the mist rising above the water. Vapor trails from a passing plane still hang in the sky in the last picture. 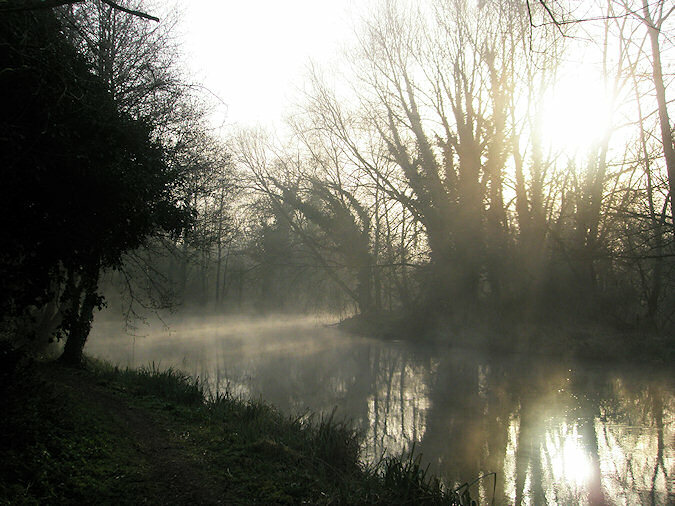 The mist drifting along the canal creates a mythical atmosphere, creating a very mild light on a cold morning. I hope you like the pictures, may be let me know your thoughts in the comments?